Why did we think a hair cut was a good idea? Just about the time she was getting super cute with all of that fluffy puppy fur, we thought it would be a great idea for her to get her first hair cut. 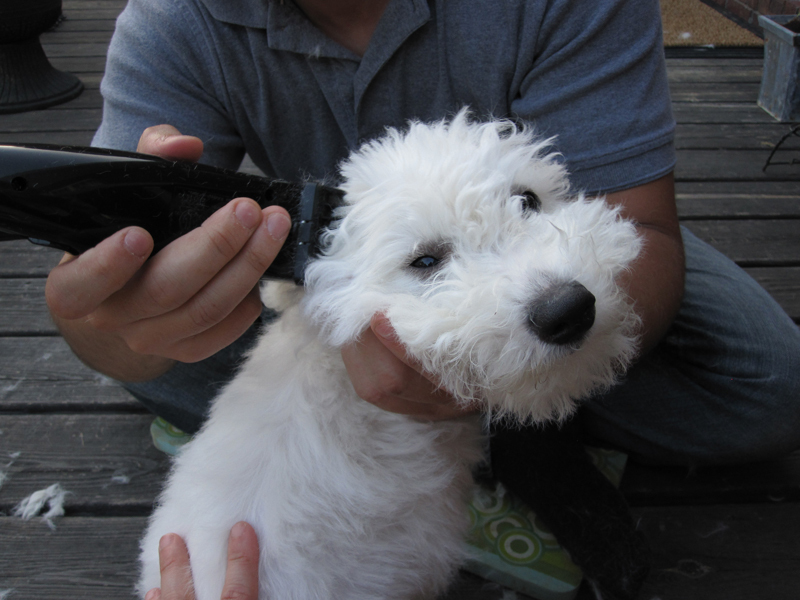 Call the best groomer in town and schedule the appointment? No. Go to Walmart and get some kind of ‘good’ dog clippers, watch the tutorial DVD that comes with them, and do it ourselves? Yes. The clippers did their job, and my guy did his part as well. The puppy’s first grooming session was a mild success. 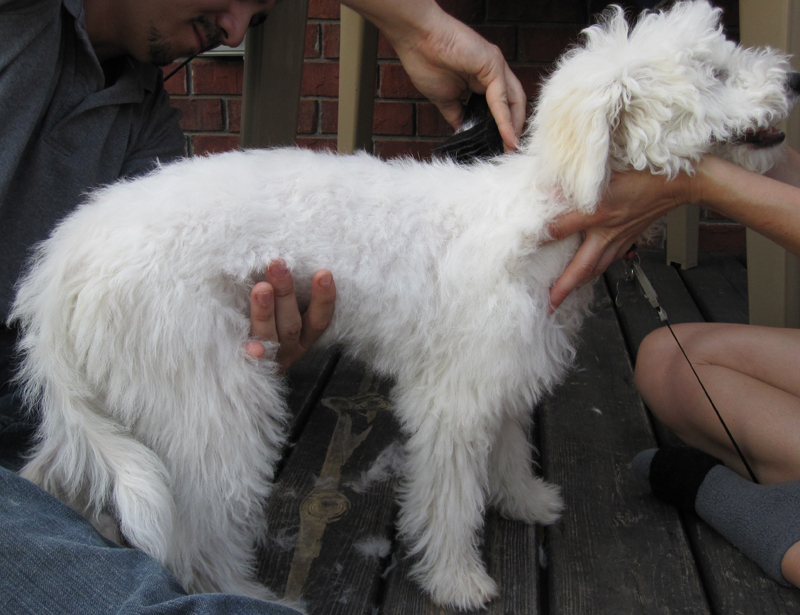 One thing the clippers neglected to notify us of was the simple fact that double coated puppies have a long wait before their adult fur grows in. 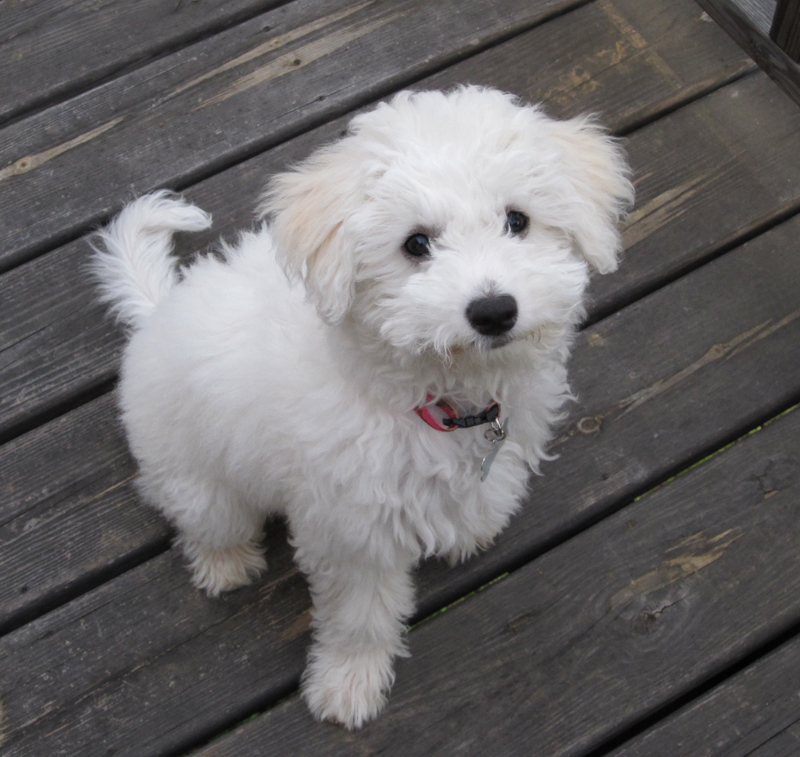 The clippers had left our cute, puffy Bichon with naked back legs for the remainder of the summer! Defeated, we were not! Those clippers will be put to use again. Only next time, it won’t be until she has her full adult coat so the mess ups can grow out a lot quicker. 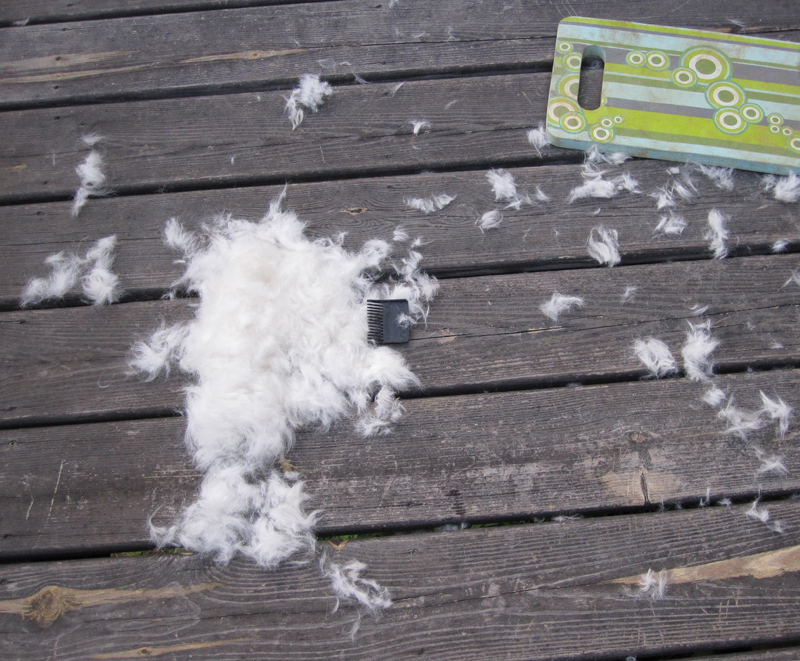 now that looks like a much more orderly affair than when we tried to give my mum’s lhasa a trim! but then, from recollection, we attempted the task with a beard trimmer. oops! A beard trimmer would have probably made it a lot harder! 🙂 Thank you for your comments!